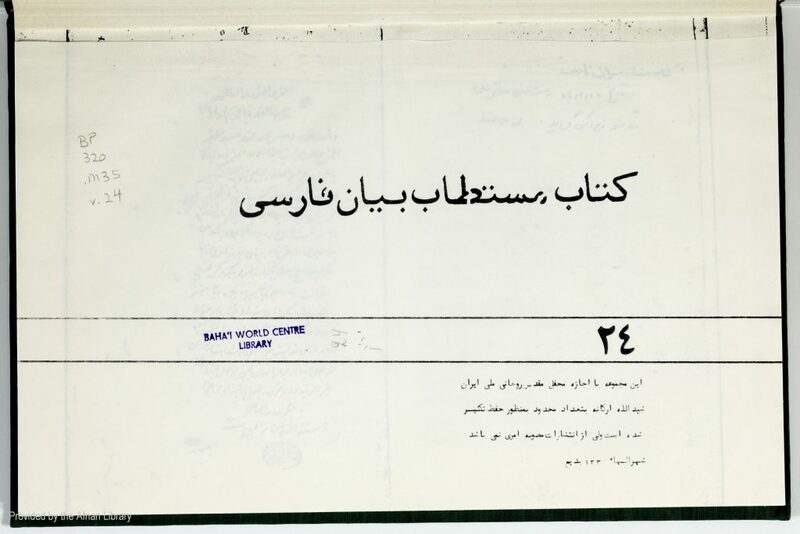 Description: The Persian Bayán. Manuscript, 432 pp. (218 pp. of PDF).